We have all been in situations, both at work and in our personal lives, where other people just seem to be in the way. They just don’t get it. They don’t understand us or what we need. They are selfish and self-centred. 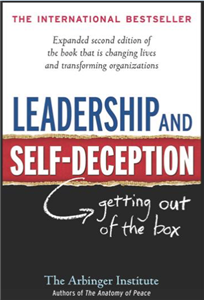 In those situations, the authors say, we are “in the box” and are suffering from self-deception. This excellent book by the Arbringer Institute pulls back the blinds that are making us act in a way that is toxic to relationships - business and personal – and guides us how we can identify when we are under the influence of self-deception and self-betrayal. And by how by changing our frame of mind, we can get out of the box and benefit from appreciation of others. Each year in June, Youth Awards are presented at a club meeting. The students who receive the awards are chosen by the staff of the junior high school that they attend. 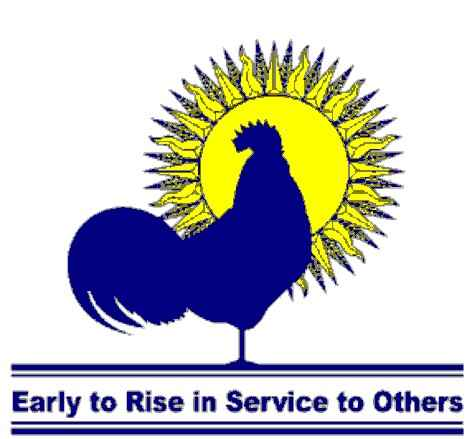 They are chosen on the basis of having provided outstanding contributions to their school and their community. Alana Walsh is from the Greater Charlottetown Chamber of Commerce. She will be talking about Executive Coaching and International Coach Week. Atlantic Veterinary College travelled to Kenya and work with local farmers for the summer through a project funded by the Queen Elizabeth Scholarship program and in partnership with Farmers Helping Farmers. A committee comprised of Holland College staff and members of the Rotary Club of Charlottetown Royalty read the "top quality plans" to determine who really stepped up to the plate and put in that extra effort. Each year the committee reviews and selects the top three business plans. These students receive recognition for their business plans at a meeting of the Rotary club. The late Harry MacLauchlan was a local business man and member of our Rotary club who exemplified the ideals of Rotary.